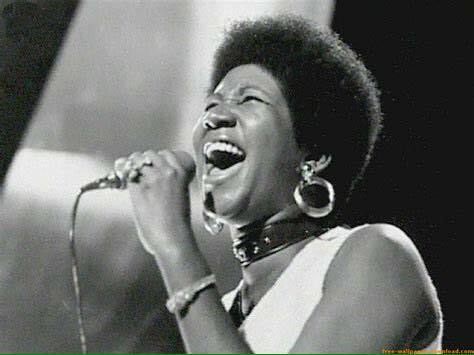 Aretha died only a few months ago, felled suddenly by pancreatic cancer. But she surely lives on in the amazing talent of Vanessa Haynes who dazzles audiences with her voice, keyboard mastery and shining conviviality. The Queen is dead but - long live the new Queen of Soul a modern Aretha- style manifestation of a unique talent. Of all the soul singers since Dina Washington ruled over the black music scene, Aretha Franklin was the most talented and destined for stardom. Her father was an ambitious black preacher, good looking and with a gifted charismatic voice and a delivery known as whooping. There are traces of it in Aretha’s vocal style and her father fostered it in his talented daughter as she began her career in recording at the age of 14 years. Last night Vanessa Haynes was Aretha in a sell out success for the Cambridge Jazz Festival. Beginning with ‘Respect’ she showed from the outset a voice of bone- shuddering power. ‘Respect’ was originally a man’s song (something to mull over next time it’s played) it has morphed into a feminist anthem - but could so easily be a plea for equal treatment for black people still struggling to gain that very respect in a contemporary world. Her repertoire is a straight run through Aretha’s career. Vanessa Haynes was backed by three professional women singers and supported by a super-talented band of seven jazz musicians. The trumpet was especially delightful layering the sound in her biggest numbers. The entire onslaught of sound had the loud glamour of a genuine American production. This is no quiet imitation of the great woman. Audiences are hit square on with the kind of razzmatazz to re-create Aretha’s glory days. “Aretha helped define the American experience. In her voice we could feel our history all of it and in every shade – our power and our pain our darkness and our light, our quest for redemption and our hard-won respect.” A tribute from the Obamas says what her music meant for the black people of their nation. For entertainment, this band generously gives it all back to her fans “Best gig ever’ murmured one man as he left the event.